Dein Outfit gefällt mir - das ist lässig und eigen, sehr cool! I love your beanie and your whole outfit! fabulous outfit, I just love your coat! 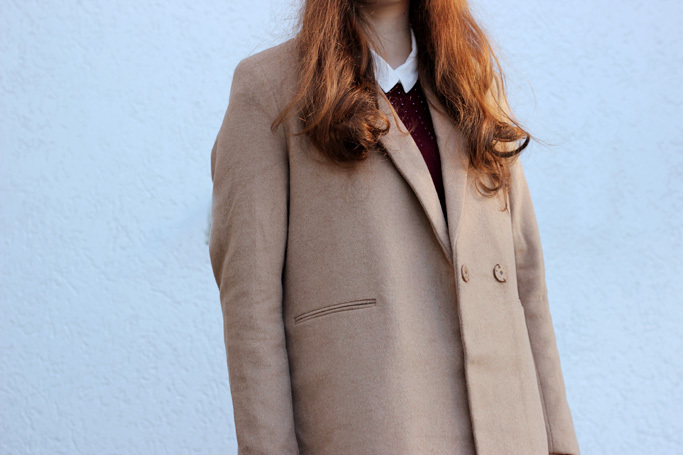 Gorgeous coat! I also love the combination of the trousers with the shoes. I loved how you combined the coat with jeans- sneakers-beanie .... I love the color! love the use of red, and your jumper looks pretty too ! Der Mantel sieht toll aus. Ich habe mir letztens auch einen karamellfarbenen Mantel gekauft und trage ihn fast täglich. I have just started a new blog and I would appreciate it so much if you could stop by my blog and let me know what you think about it! Gorgeous color mix! you look so pretty and the coat is perfect for this fall! You look perfect in that wonderfull coat! Love your look. Amazing coat! Geniales Outfit, der Mantel ist ein Traum!! !